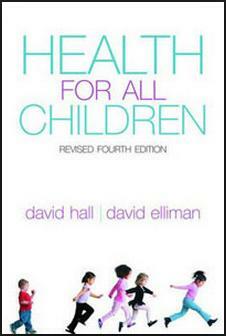 This service is provided by Harlow Printing Limited in support of Health For All Children 4th Edition. Within the site you will find the supporting documentation and references detailed in the publication. To find a specific reference use the link in the left-hand menu or enter the subject in the search box. The HFAC4 menu also provides the opportunity to submit articles, suggested reading and feedback relevant to the book. If you wish to be advised when new information has been added please click here to subscribe to our mailing list.